Baby It's Me is a 1977 album released by American singer Diana Ross on the Motown label that peaked at #18 on the Billboard Top 200 and #7 on the R&B album chart. The album was produced by producer Richard Perry. The LP yielded one Top 40 hit, "Gettin' Ready for Love", reaching #27 on the US Billboard Hot 100. Other charting singles released from the album include "You Got It" and "Your Love is so Good for Me," the latter receiving a Grammy nomination. Adult Contemporary drove the success of this album, with both "Gettin' Ready for Love" (#8) and "You Got It" (#9) being Top 10 hits, while the newly formed Billboard Dance charts ranked "Your Love is so Good For Me" Top 15. Although this album never made the UK charts it was certified Silver for UK sales in excess of 60,000 copies. Ross would continue to work with Perry including on her pairing with international vocalist, Julio Iglesias on their duet, "All of You" several years later. 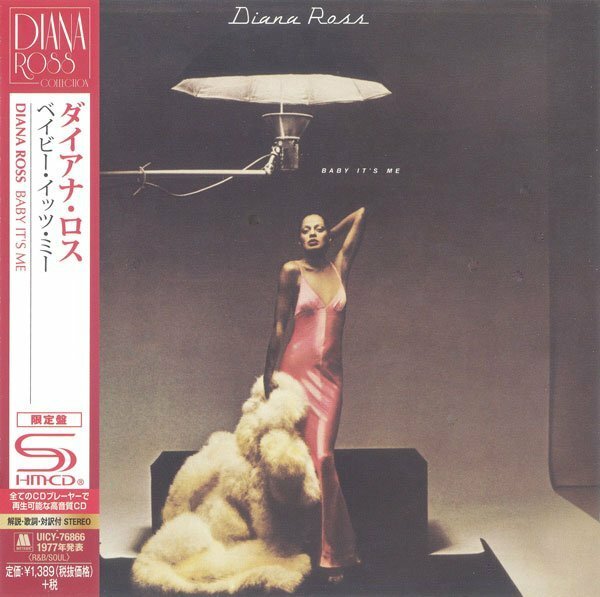 A moderately successful late-'70s album for Diana Ross. She was evolving into celebrity/stardom status, and her albums were increasingly filled with less soulful, more sophisticated, heavily produced and arranged ballads and light pop. She still sounded glorious on most of them, but now the edge, sensuality, and energy that had made her Motown songs classics was steadily eroding in favor of a more stylized, almost show-business kind of singing. Recorded and Remixed at Studio 55, Hollywood, California.